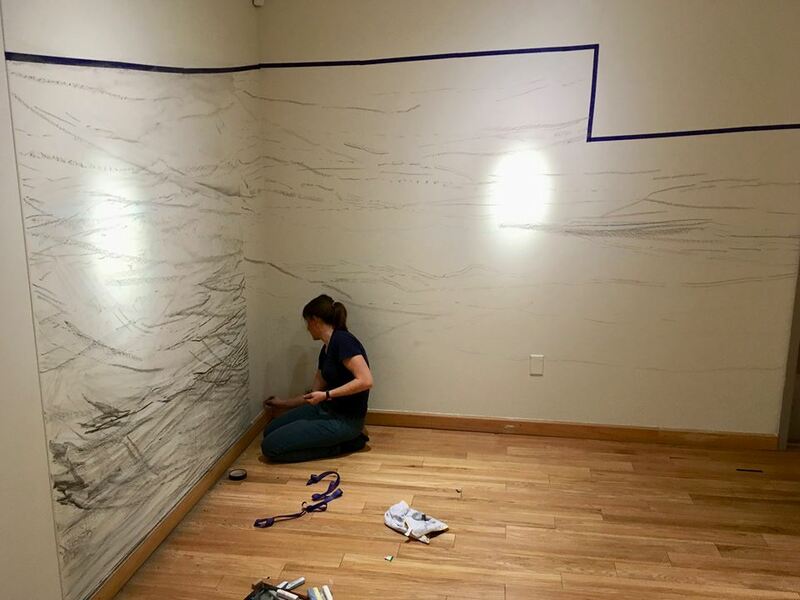 Kelsey Miller installing her work at the Housatonic Museum. 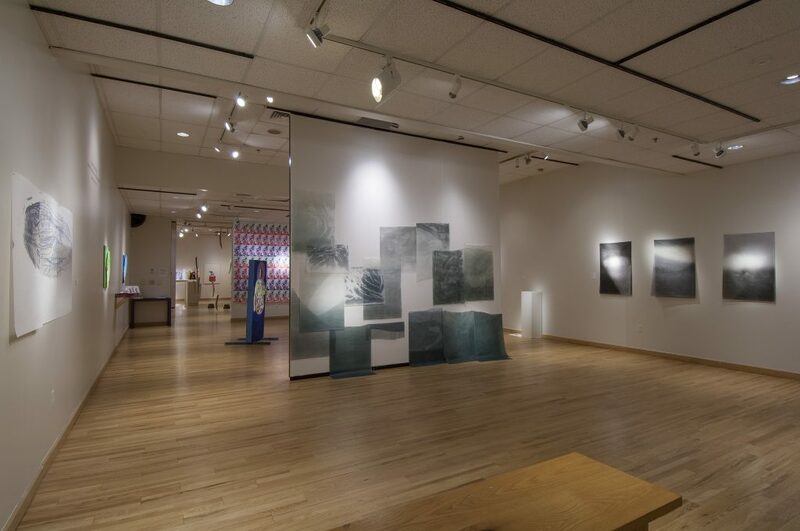 Contributed by Sharon Butler / In an exhibition on view at the Housatonic Museum in Bridgeport, wildlife trafficking, environmental conservation, sexuality, religion, gender, and the illusion of domestic bliss are among the issues addressed through a diverse range of printmaking practices. UConn MFA student Kelsey Miller (and one of the winners of the 2016 SPRING/BREAK Quiz) sent me a note about the beautiful work she has created for the show. “Prints that work: Roxanne Faber-Savage, Kelsey Miller, John O’Donnell and Neil Daigle-Orians,” curated by Leslie Giuliani. Housatonic Museum, Bridgeport, Connecticut. Through March 25, 2017. A panel discussion featuring the artists will take place on Thursday, March 23 at 6 pm.